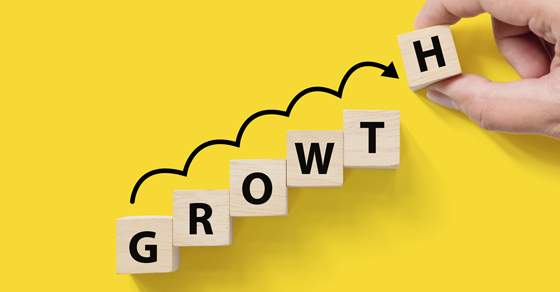 A not-for-profit’s growth stage generally starts two or three years after formation and continues until maturity at around age 7. This period comes with a sense of accomplishment and the opportunity to refine and expand, but these “adolescent” years can pose challenges as well. Perhaps the most common marker of a growth-stage nonprofit is changes in the composition and focus of its board of directors. Boards usually continue to be active in operations to some degree, but also must begin to work on strategic matters — the policies, planning and evaluations necessary for long-term sustainability. Founding board members may move on at this stage. The result could be a larger and more inclusive group of individuals, preferably with a wider range of skills, talents and backgrounds. Boards also can establish committees at this time. As demand for services builds and you expand programming, staffing needs increase. Adding to staff in the growth stage will help avoid burnout. Your nonprofit should design a clear organizational structure and hire experienced managers. You should also develop formal job descriptions. Employees will now be expected to work under formal systems, following policies and procedures and in a more efficient manner. Your organization’s executive director is still the primary decision maker, but he or she may not have time to be as involved in every area. You might want to adjust your nonprofit’s mission during the growth stage. Changed demographics or economic developments could make it appropriate to revise your organization’s purpose. You can home in more intensely on a subset of the original mission or shift focus to another area. For example, a literacy organization that started out helping native English speakers improve their reading skills might expand to include teaching English as a second language. The charity may then develop a strategic plan to incorporate the changes to its mission. Growth-stage organizations are generally in a more comfortable financial position, with less uncertainty. You may have developed good relations with key funders, but there are still obstacles in securing necessary funding (and cash flow) to support current programming. To maintain growth, you’ll need to diversify revenue sources, manage cash flow and develop solid budgets. We can help you.